Due to some scheduling conflicts, we were not able to take a weeklong trip for our tenth anniversary has we had hoped. Instead of postponing a weeklong trip, we decided to do a weekend thing. 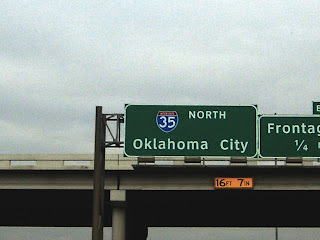 And to celebrate our big tenth year anniversary we went to…..
Yep, Oklahoma City! 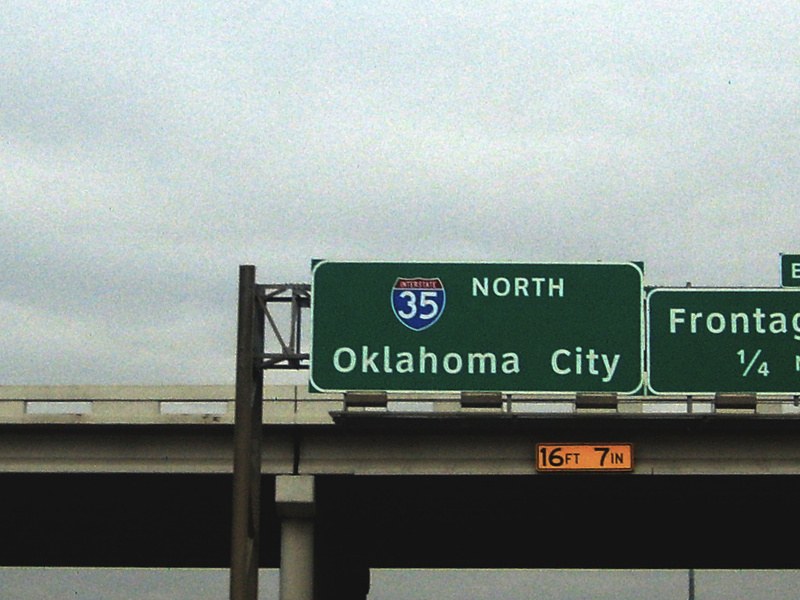 Why did we go to Oklahoma City you ask? Well, this gal was there. But really, I went to see this Cowboy. 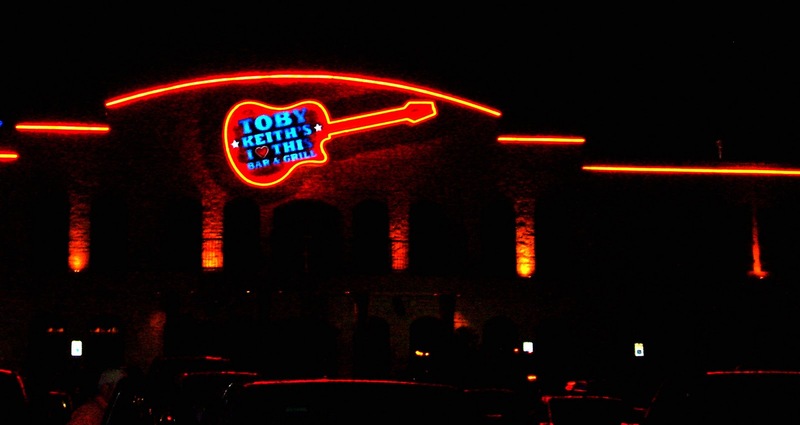 We decided to drive up to see the concert and stay the night for our short get away. Luke stayed with Daddy and was happy to do so, but he did ask why he could not go with us. I told him it was music for grownups. Of course, nothing with this boy is simple so he followed up with, “What kind of music is it that it’s inappropriate for children?” Ugh. “It’s not inappropriate Luke,” I told him. “We just do not want to spend the money on a ticket for you.” Yes, sometimes the truth hurts, but he did not really seem to care. After all, a sleepover with Grandpa is always fun. 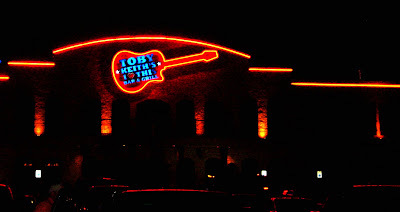 For dinner we tried out Toby Keith’s I Love This Bar & Grill. I hopped out of the car to put our names on the list while Josh parked the car. The line just to get your name on the list was so long that Josh was beside me before I could even get to the hostess. Once we finally got up there, we were told there was no telling how long it would be until we had a table, but we were more than welcome to try and get a bartop seat. We could see the first bar and it was packed and so was the second. As we went back towards the third, we spotted an empty table…so we sat ourselves, not sure if this would work or not. But in no time, we had our menus and drinks ordered. We could not believe our great luck! The food was great and our waiter could not have been any better. We decided that since we had a decent parking space at the restaurant we would just walk the couple of blocks to the arena for the concert and this proved to have been a great idea by Joshua! 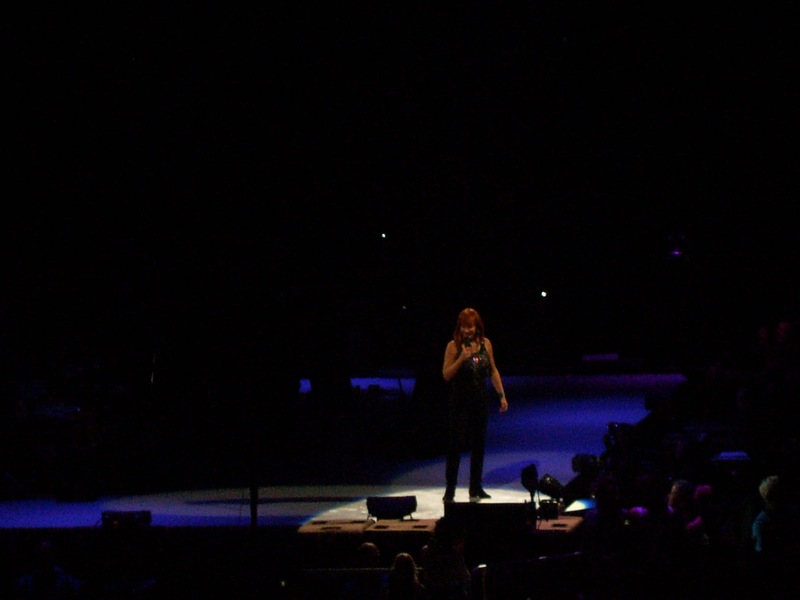 Now…back to Reba. She was awesome. 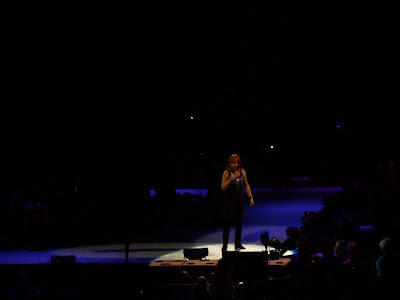 Loved watching her sing the old songs, as well as the new ones. The highlight of her for me was watching her sing Fancy. I have seen her singing it live on TV before, but that was certainly not the same as in person. She is awesome. 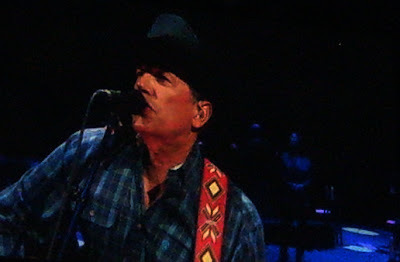 But, the real reason for the trip….King George. He was great and I loved every second of it. Much thanks to the camera man who zoomed in on George’s hind end to confirm for us ladies that, yes, he was wearing Wranglers. 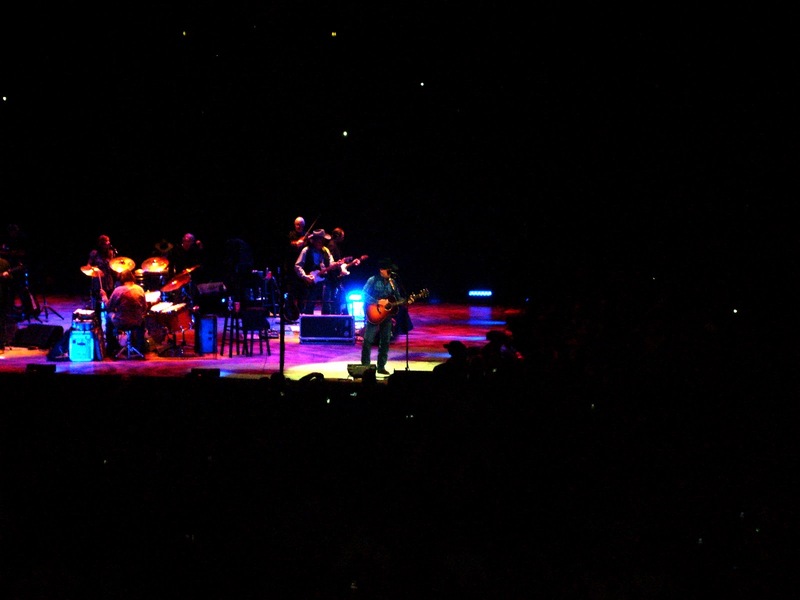 And a huge thank you to George for singing my all time favorite song......Run. The icing on the cake of our trip for me happened on the way home. Nothing like hearing my husband belt out You Can’t Make A Heart Love Somebody. He makes me laugh. And smile. Happy (early) Tenth Anniversary dear. And thank you for taking me to see George to celebrate! I know the pictures are not the best...our camera was not cooperating. We are thinking of banishing it from the family....One should not fail at a time like this!